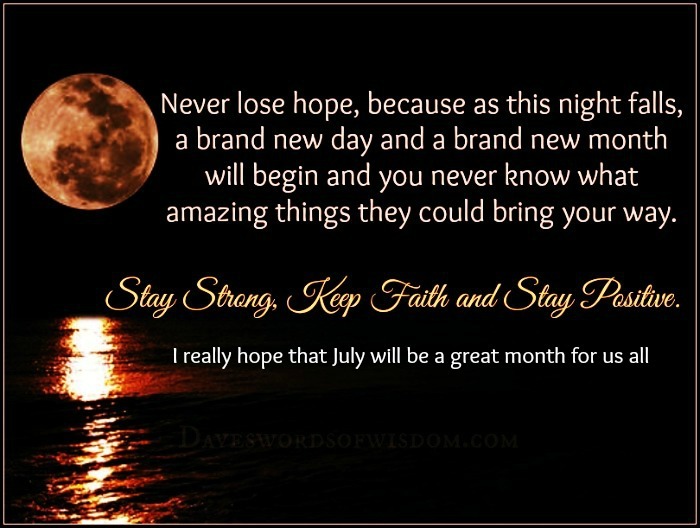 Daveswordsofwisdom.com: Tomorrow, A Brand New Month Is Coming. So posting or reading positive reviews is suppose to increase positive vibe? Tell this to the people that deals with for fifty years, no matter where you go or surround yourself with different diversity or style, that negativity just might still present forever or too long to remember the positive. This my dear friend is called keeping it real and the facts of life.